We are pleased to announce the addition of Ken Frye to our National Wholesale Development Team. Ken will be based in Pennsylvania, with responsibility for growing the NWF footprint in New England, New York, New Jersey and Pennsylvania. 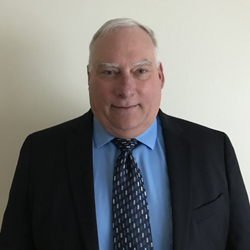 He comes to us with extensive experience in sales & marketing, having entered the industry in 1983 with a large Philadelphia based wholesale and retail fuel distribution company. This gave Ken the opportunity to gain experience in commercial fuel sales, retail home heat sales, industrial and automotive lubricant sales, and growing their branded dealer network. The last nineteen years Ken has been involved in using his skills to support the explosive growth of the Allentown based Cross America Partners. This has given Ken the opportunity to expand his experience in company operations, convenience store franchising and the company owned, dealer operated business model. Ken resides in NE Pennsylvania just a two hour drive to both Philadelphia and NYC. He enjoys following his Philadelphia based sports teams, fishing and walking the many scenic trails near his home. Please join us in welcoming Ken to the NWF Family!